Slate looks at an interesting, but unfortunate, trend over the past couple of years: restaurants using President Barack Obama's name and likeness in moderately to overtly racist ways. 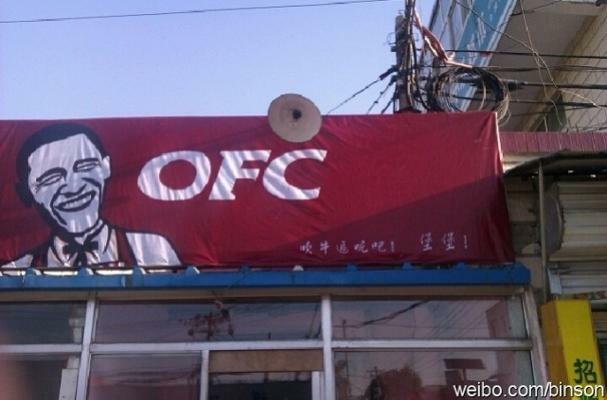 They draw attention to a Brooklyn restaurant with the name "Obama Fried Chicken" and refer to the recently opened "OFC" (also standing for Obama Fried Chicken) in China. They call such incidents "culinary racism." So what. Who cares? Enjoy your hate.